Saint Ignatius of Loyola makes the following powerful and evocative statements about the harm lack of gratitude causes in the spiritual life. He says: “It seems to me, in light of the divine Goodness, …that ingratitude is one of the things most worthy of detestation before our Creator and Lord, and before all creatures capable of divine and everlasting glory, out of all the evil and sins which can be imagined. For it is the failure to recognize the good things, the graces, and the gifts received. As such, it is the cause, beginning, and origin of all evil and sins” (cited and referenced in Consoling the Heart of Jesus, page 421). As Father Timothy Gallagher explains, Saint Ignatius of Loyola’s basic attitude toward God was one of deep gratitude. “For Ignatius then, the consciously chosen remembrance of God’s gifts is not just a moment in a spiritual day or simply a devout practice…. It is the heart itself of the way he understands God and relates to God. The only God he ever knew from the first moment of his conversion was the God who constantly bestows gifts of grace upon us, revealing through these gifts the infinite love with which we are loved” (The Examen Prayer, p.58). Here is a beautiful quote from one of Saint Ignatius’ early disciples (Father Diego Lainez, S.J.) 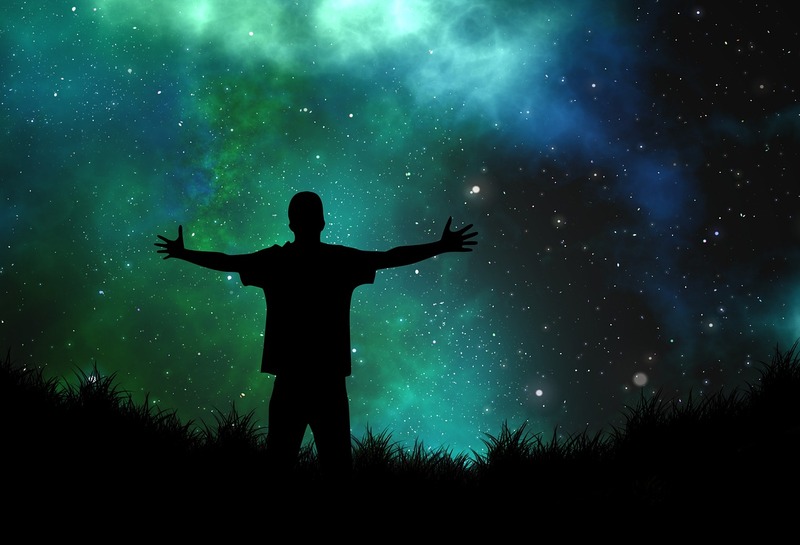 which touches upon Saint Ignatius’ profound gratitude for God and His creation: “At night Ignatius would go up on the roof of the house, with the sky there up above him. He would sit quietly, absolutely quietly. He would take his hat off and look up for a long time at the sky. Then he would fall to his knees, bowing profoundly to God….And the tears would begin to flow down his cheeks like a stream….” (The Jesuit Guide to (Almost) Everything, page 17). 1. Close your eyes and become aware of the love with which God is looking upon you. Do this for a minute or two to place yourself in the presence of God (Gallagher, p.25). 2. In your mind review your day and note the gifts and graces God has given you, and give profound thanks to God for them (Gallagher, p. 25). Here then, with this “Examen” prayer, you are ending your day on a very profound note of gratitude to God. Father Jacques Philippe says this about gratitude: “Here we touch on… one of the secrets of the spiritual life that also is one of the laws of happiness. The more we cultivate gratitude and thanksgiving, the more open our hearts are to God’s action, so that we can receive life from God and be transformed and enlarged. By contrast, if we bury ourselves in discontent, permanent dissatisfaction, then our hearts close themselves insidiously against life, against God’s gift” (The Way of Trust and Love, p. 112). Reference: My two sources for this note, besides The Spiritual Exercises of Saint Ignatius, are The Examen Prayer by Father Timothy H. Gallagher, and The Way of Trust and Love by Father Jacques Philippe. For a more detailed approach to the Examen prayer of Saint Ignatius, and the other steps in the prayer which can be utilized, see Father Gallagher’s book. Also, Father Michael Gaitley gives a consolidated explanation of the Examen prayer (using the B-A-K-E-R method) in two of his books (see Consoling the Heart of Jesus, 178-182, and 33 Days to Morning Glory, pages 187-189). I am also relying on pages 421-422 of Consoling the Heart of Jesus, which also references Father Gallagher’s book, The Examen Prayer, and the critical importance of gratitude in Saint Ignatius’ life, a point which had touched me too when I read this part of Gallagher’s book. 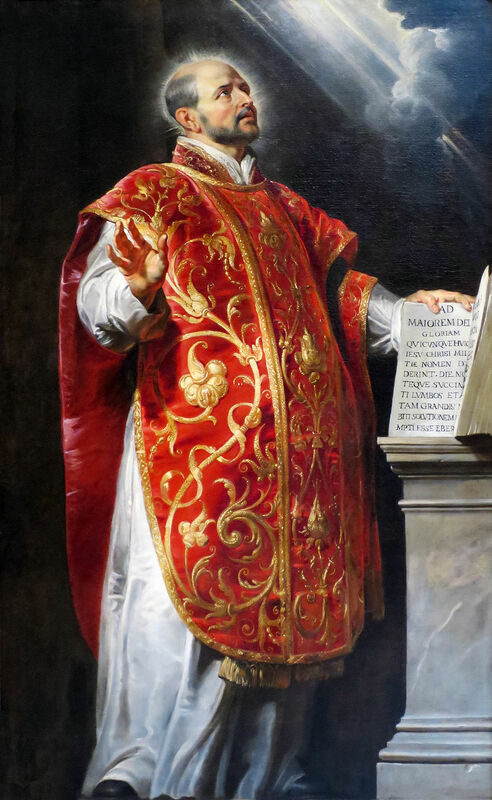 Image: Painting of Saint Ignatius of Loyola by Peter Paul Rubens (1577-1640), a Public Domain work of art in the U.S.A.